Safety & Security - The Campus of the Jewish Home of Greater Harrisburg, Inc. The Residence provides you and your family with peace of mind and a safe, secure environment. 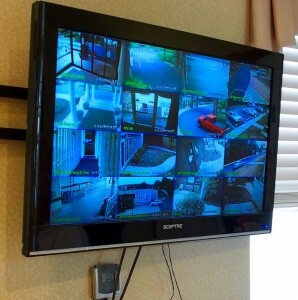 The Residence provides the utmost in safety and security. Residents gain entry with an entry access card at our secured entrances. Only the Front Desk concierge admits visitors. Monitored security cameras are rolling all the time. In each apartment, a telephone and emergency call response system—with two-way communication at the touch of a button—connects you instantly to our professional staff members. A professional nurse is available 24 hours a day.